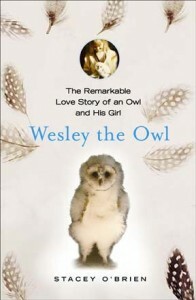 After reading your review, I decided to purchase this book as a Christmas gift for an animal-loving friend. She is very excited to read it, and told me her favorite animal is the barn owl! Thanks for the tip! I really think your friend will like it . . . and how coincidental that her favorite animal is the barn owl too!! The two animal lovers I gave this to thanked me profusely afterward! !